So many times I have thought 'I need to get back to blogging'...as you can see I just never got back to it. Now I am throwing my hat in the ring once again to give it a shot. 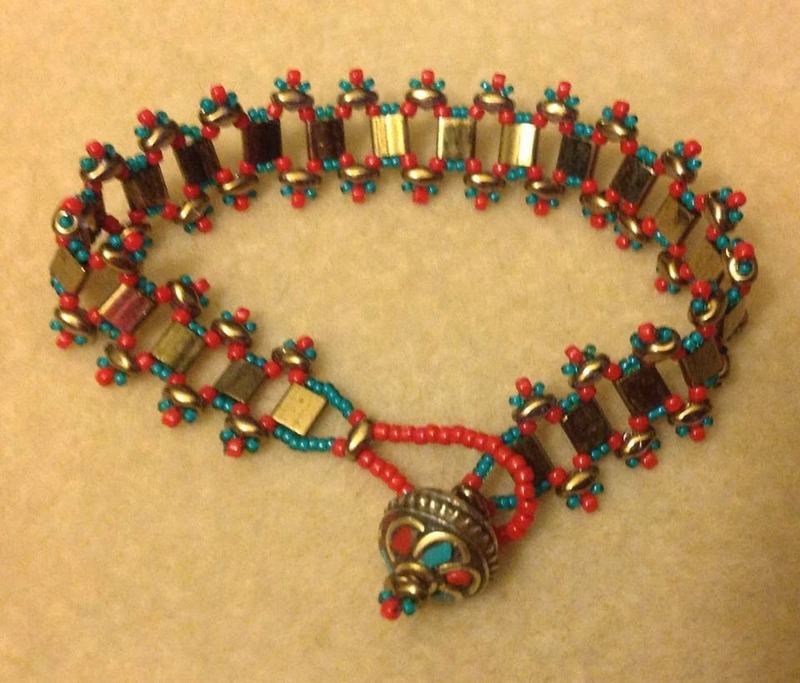 I started the blog to document my beading creations and my motorcycle rides. I don't seem to get to do either much anymore. I've been working 2 jobs for nearly 2 years so it doesn't leave much time for the fun stuff. My last motorcycle trip was to Sturgis 2017. I rode my own, solo the entire trip and met up with friends when I got there. It was an amazing trip. I got to ride Needles Highway with many twists and turns, rode to Devil's Tower which is an amazing sight to see from the ground. I would love to take a helicopter ride and see if from the air. The Badlands is such a beautiful ride. So peaceful, except for the mountain goat that decided to stop in the middle of the road and sneeze on my front tire while I was stopped. That caught the attention of some children in a car behind my group and they really got a kick out of seeing that. By the time I got home after a week of travels on the bike, I had ridden 2892 miles. I loved every second of it and hope to take another long trip soon. Since that time, I haven't done much riding. My husband is unable to ride now and my female friend, Jan that I rode with frequently lost her battle with lung cancer. Not as much fun to ride alone all the time. As for my beading...I had the opportunity in September to go to a beading retreat in Springfield, MO hosted by the Queen City Bead Society. The designer was Cynthia Rutledge. It was an amazing time with my friend Saundra and the QCBS gals were a hoot. We stated at the Mansion at Elfindale in the Governors Suite. It was really nice. The last day there I was able to take a tour and get some photos. There is quite a history of the place. I would recommend that you look it up and read the history of the place, then if you are ever in Springfield, check into staying there. Two restaurants I recommend while there is Thai Peppers and Nicola's Italian restaurant. Amazing food at both places. Now to talk more about beading...Cynthia was a great instructor and much fun to be with. We had 3 projects that we did starting with a beautiful bracelet Rue de la Paix, then on to Estelle's Sautoir which is a very elegant necklace of firepolish rope and a beautiful pendant and tassels. We ended the retreat with Gabrielle's Muse necklace. All of my projects from the retreat are at this time in various states of completion. In the beading community, we refer to them as UFO's. (unfinished objects), or WIP's, (work in progress). 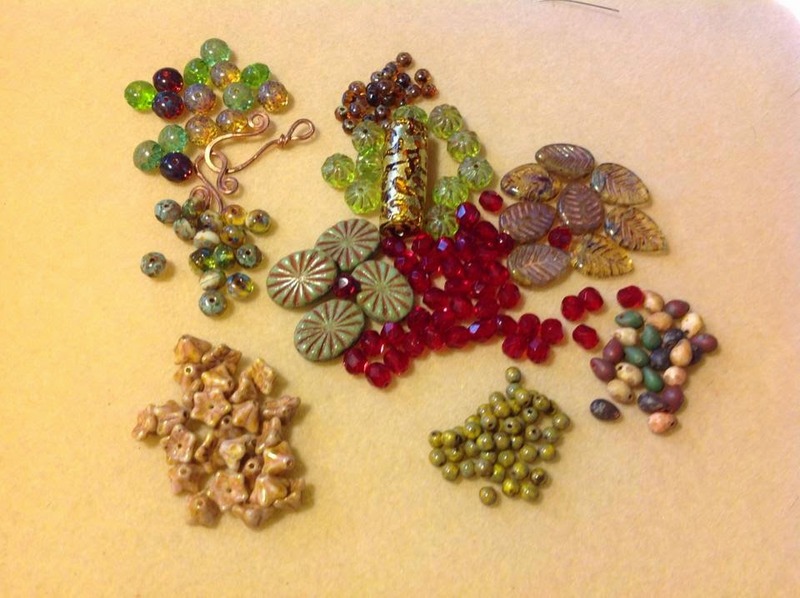 I also had a wonderful experience at a weekend workshop with the infamous Kinga Nichols who is an amazing designer who specializes in bead embroidery. She has the most unique designs and I am in complete awe of her work and creativity. She is such a fun person to be around and truly cares about each one of her beading students. Of course, both of those projects are also in various stages of completion but the one that is the closest to being complete is "Kiss My Bass" bracelet. I absolutely love how the piece is turning out and I can't wait to show you the completed piece. I've always been intimidated by bead embroidery as my hand sewing isn't the greatest...give me a sewing machine and I produce gorgeous work but not so much with needle, thread and fabric. Kinga made it seem effortless which is probably the reason why I have worked on the project more than any of the other UFO's in my stash. 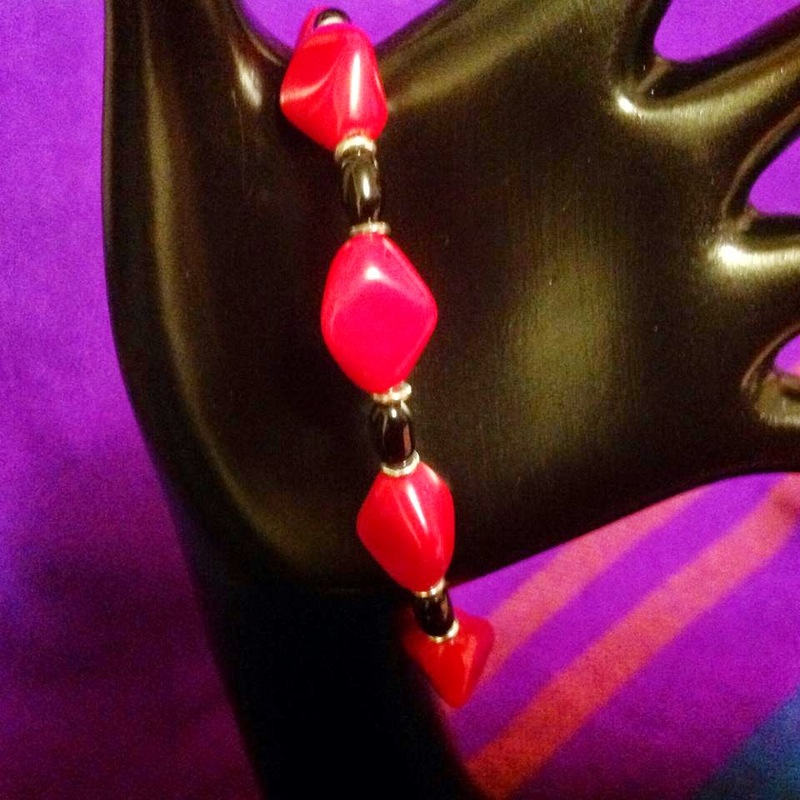 Check out Kinga's designs on Etsy. Her shop name is Crimson Frog. 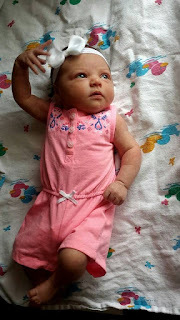 Thanks so much for reading and please leave a comment. 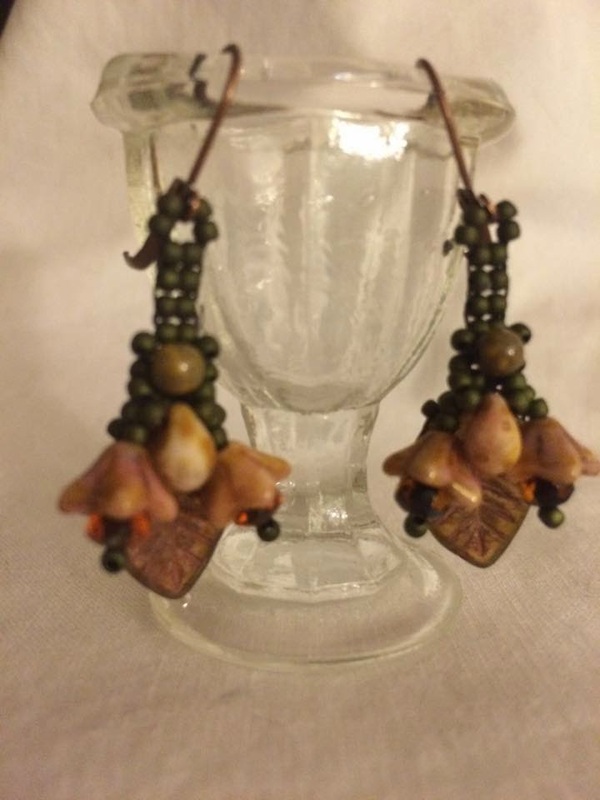 Another opportunity to step out of my comfort zone and design pieces from a kit called "Jasper Intrigue" by Lisa Lodge of Pine Ridge Treasures presented itself to me a few months ago and I decided to accept the challenge. Normally, I am a bead weaver. I love working with those little tiny seed beads and metal findings, trying different patterns by the amazing artists out there and sometimes designing and teaching my own. I honestly had never tried working with any large stones, sea glass or unusual pieces until I took on my first challenge with a Bead Soup blog hop that I did. That challenge in itself led me to look for other challenges and groups to get involved in to learn and be inspired by others. I played with the nuggets and tried different things but just didn't have my muse so decided to put them away for a bit and finish up some bead weaving pieces...then life got in the way and I didn't get back to the Jasper for awhile...Now it is time for the reveal and I only have one piece done so I will post it now....This is a lariat that can be worn several ways around the neck as well as worn as a belt. I also have very long hair and think it would look great wrapped around a high bun and left to 'dangle'. 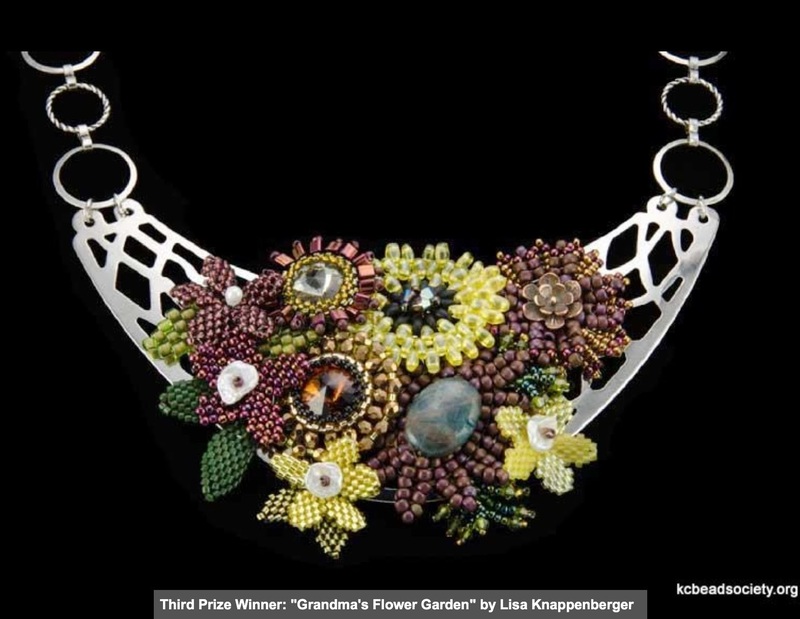 The design was inspired by a piece from Tamara Scott designs. When the other piece is done, I will WOW you with that one...It is a work in progress of bead embroidery which I have only done 3 other pieces before and that was from a class that I took at Bead Blast KC 2013 working with Raku pieces by Marianne Kasparian of Maku Design Studio. So this is my first time using gemstone in bead embroidery so another challenge, but a Welcome one at that. Thank you so much Lisa Lodge for all your work that you put into these challenges and kits for us. You have helped me to really step out of my comfort zone in so many ways and try new things. Everyone in the group has been an inspiration to me in one way or another...YOU ALL ROCK!!! Thank you for stopping and and Please leave a comment!!! Don't forget to check out the other participants!!! It's always fun to participate in things that I love to do. I love to write although I don't make public everything that I put on a page. 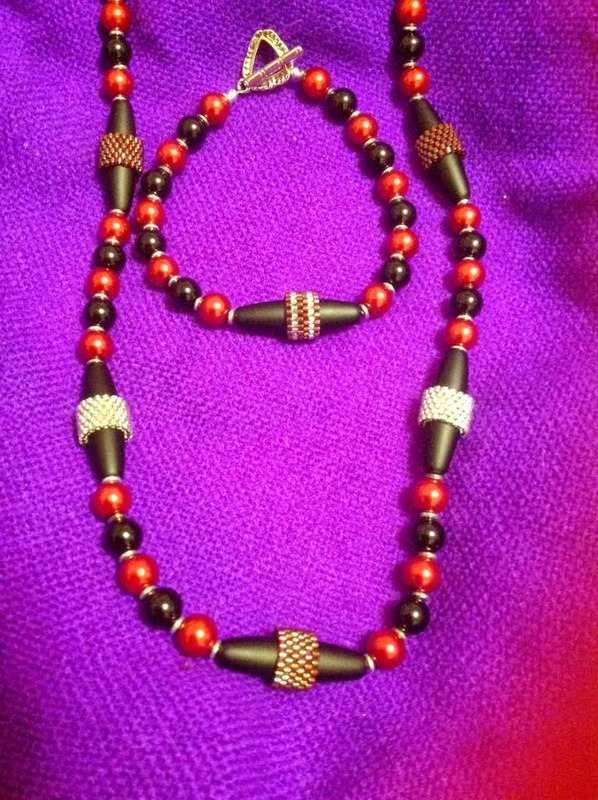 I also love to create with beads. 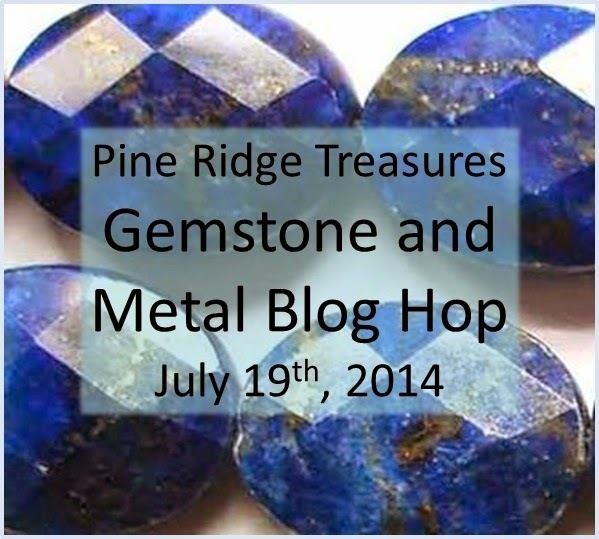 Pine Ridge Treasures owned by Lisa Lodge gives me just that opportunity to create and share with others by providing participants with beautiful beads and components to work with. Here are photos of my finished pieces. I hope you like them. I normally do more stitching and less stringing, but finally gave up on the stitching portion when I couldn't make it work with the larger pearls. 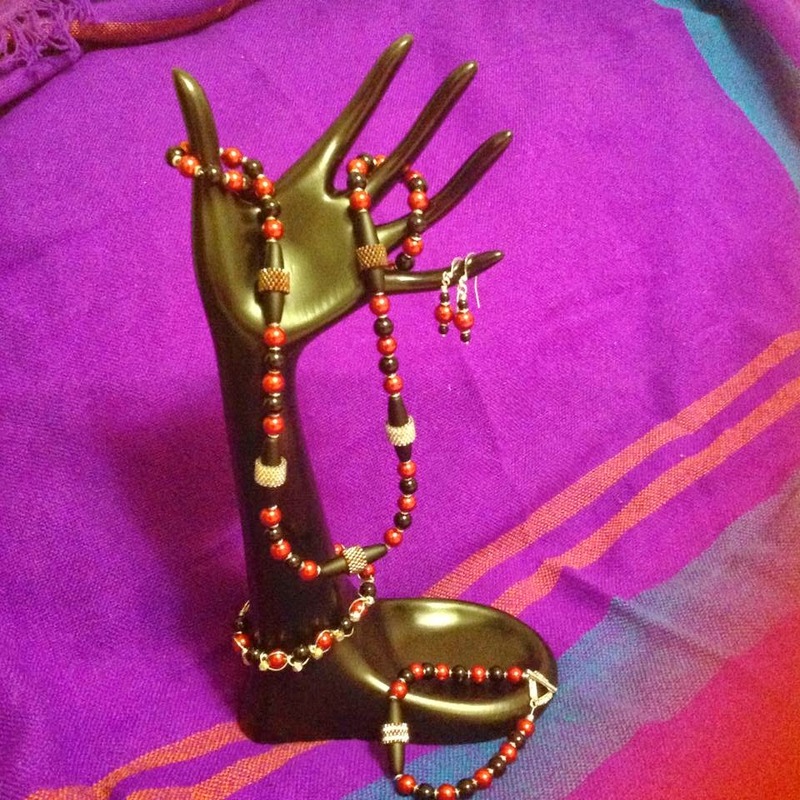 I decided to keep it a bit simple and just use a peyote stitched ring on the black tube beads and use O beads between the pearls on the necklace and bracelet, or course there has to be earrings to match too. I also made a 2nd bracelet in a feeble attempt at wire working. I can wear it, but I have a lot to learn about wire working. 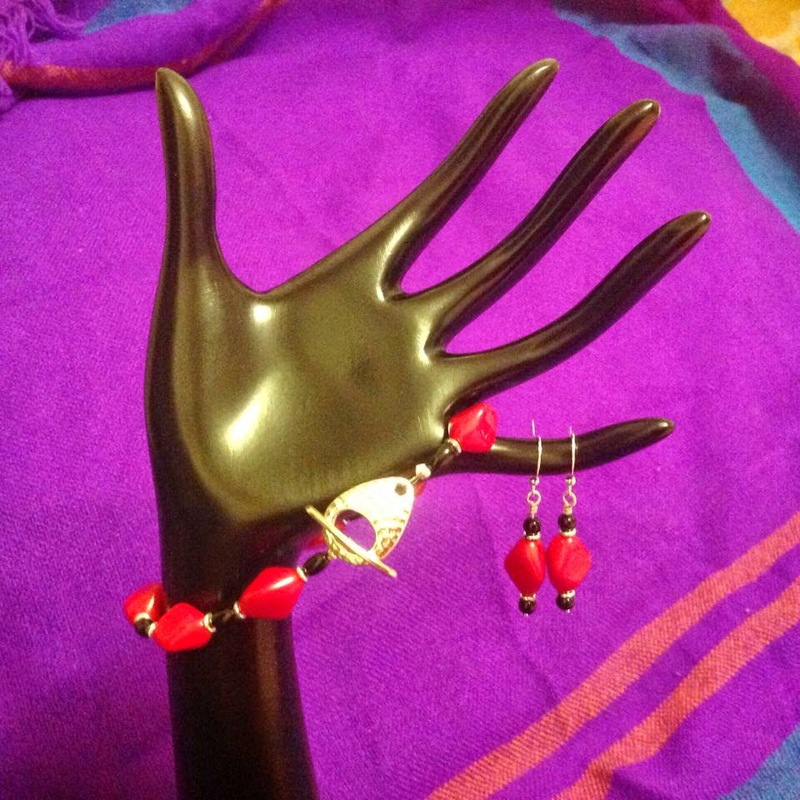 The last bracelet and earring set is because I absolutely had to use the small black oval pearls in the kit and had some really cool red glass beads on my supply wall that I have really been anxious to use. 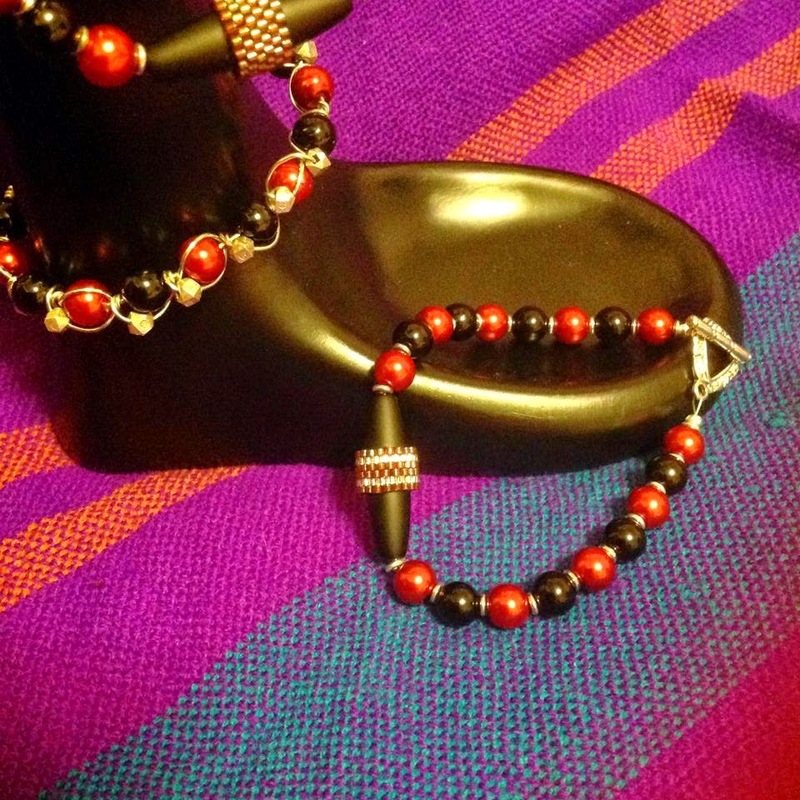 This bracelet and earrings is a set that can be worn with jeans and a sweater, scrubs, or dressed up. That is my favorite kind of jewelry...versatile. I have toyed with the idea for quite some time of what I was going to do for the hop and kept going to my bead wall and trying to decide what I wanted to work with. I changed my mind so many times so I decided to confer with hubby. He laughed at first then said, "Why don't you start with the Rivoli's?" He was referring to my massive amount of packages of Rivolis hanging on the supply wall in various colors and sizes plus the numerous projects in various stages of completion. Rivolis are fascinating to me. I am always amazed at how the colors change according to the beads that are put with them. Needless to say, I've never met a rivoli I didn't like. 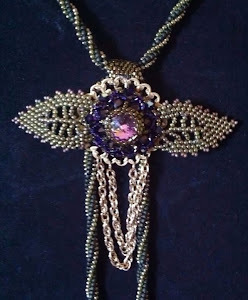 The very first time I ever worked with a rivoli was a few years back when Nikia Angel was coming to Kansas City and taught a workshop for The Bead Society of Greater Kansas City. I joined Bead Society on a Friday night and met Nikia. I wanted to go to the workshop the next day, but it was full. I was asked if I wanted to be put on the on-call list in case of a cancellation...I jumped on it. I really didn't think I had a chance of getting in but was trying to be optimistic. Saturday morning approx 9am I get a phone call while standing next to my motorcycle getting ready to go for a ride, when a member called to say that there was a last minute opening if I would like to attend. The workshop was in 3 hours and I was an hour and a half away...I ran into the house, grabbed my beading supplies, stuffed them into the saddle bags on the bike and set out to class. The Crystal Pagoda was my first Nikia project and definitely not my last...I have made several projects of hers since that time and have also had the opportunity to be a pattern tester for her design "Tudor Lariat". 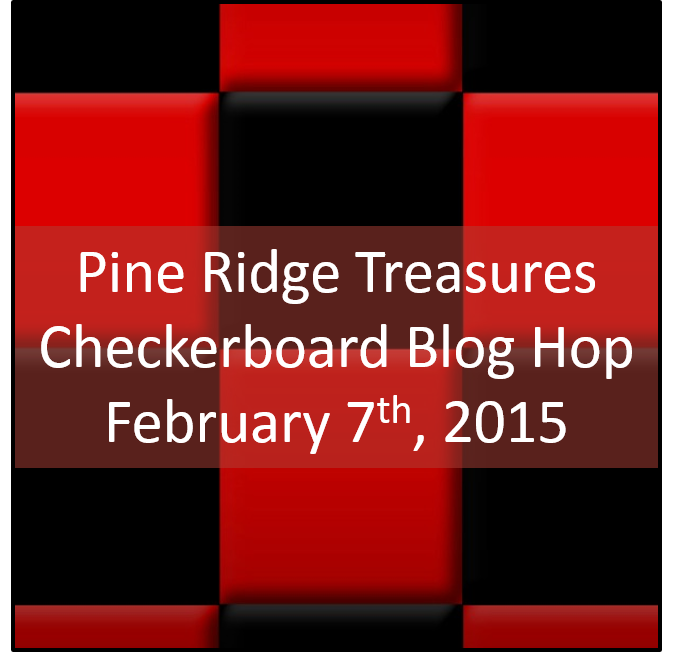 That photo will be posted in a separate blog later this month. Below you will see some of my Rivoli obsessions. I have bezeled them with Super duos, 2 hole triangles, seed beads, dragon scale beads (my new favorite bead), fire polish, crystals, daggers, pearls, etc...Still working on a few more ideas but working out the details. Thanks for looking and I hope you enjoy seeing my pieces. 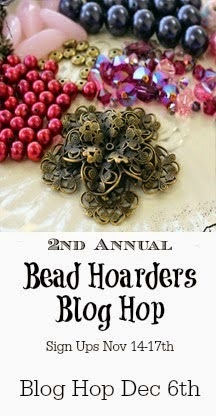 Please take some time to take a peak at all the other Bead Hoarders Blogs and leave comments. We always LOVE to hear feedback. This is the first year that I have participated in the "Be Thankful" Blog Hop Hosted by Marybeth Rich of Forest of Jewels. I am so glad that I decided to do it because the beads are Beautiful. I received an assortment of Czech glass leaves, carved ovals, rondelles, drop beads, cruller shaped beads and a Czech lampwork glass barrel bead. 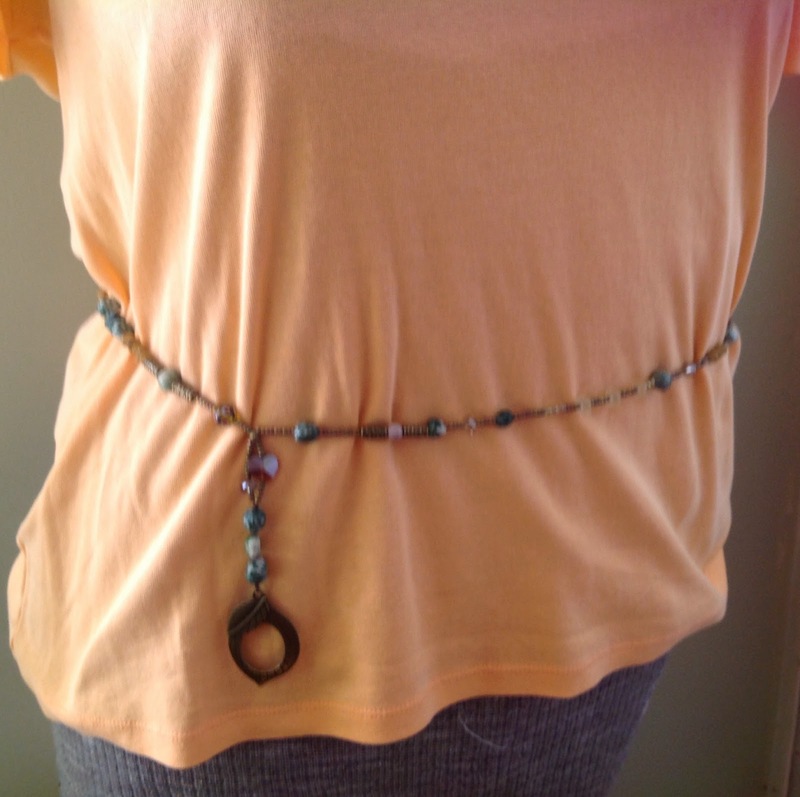 The Clasp is a handmade Copper clasp made by Cova Cobalt of Cobalt and Copper. Before I go any further with my beading I first want to list just a few things that I am Thankful for. First of all, My Hubby of nearly 25 years, Ray. He has always been a supporter of my dreams and aspirations and has believed in me when no one else did. I am very Thankful that he is still with me as it was just 2 years ago this month that I nearly lost him when he went into complete respiratory failure and was on a ventilator for 6 days. The doctors didn't expect him to pull through, but he surprised them all. He is disabled now, on oxygen 24/7, but the important thing is that he is still here with me and able to join me in my beading endeavors. I am also Thankful for my talented and hardworking son Stephen. He works for Ford Motor Company and is the bass player for the band ElectroPossum. (check their video's out on YouTube.com). He is always there to help Mom and Dad when we need him. We are very proud of the young man he has become. I started off with a bracelet. I stood at my kitchen window this morning drinking my coffee and noticed the leaves falling from the trees and covering my yard. 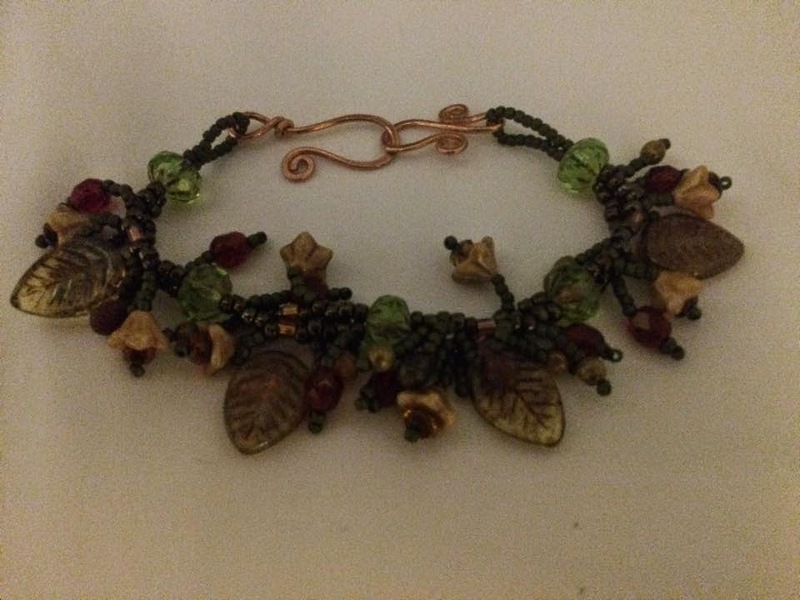 That was my inspiration to make something with 'dangling' leaves, so that is how I came to design the bracelet. Of course, every bracelet deserves a pair of matching earrings so I played with my beads until I had a pair that was just right for the look I wanted. I now have a large selection of beads left from the challenge so I need to get started on a Necklace. I must however, get a few special order projects done before I start it...Afterall, I think I will make enough from the special orders that I can buy a new outfit to wear with my "Be Thankful" designs on Thanksgiving day....Sounds like GREAT motivation to me. Thanks for taking a look at my pieces. Please leave a comment letting me know what you think of my designs.